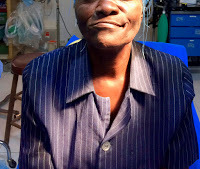 Quite frequently, fellow missionaries here in Haiti send patients to us for consultation. The problems can be anything from a severe rash to massive pathology to unexplained illnesses. Sometimes we can offer help and other times, there is nothing that can be done in this country. Last week, another such patient was sent our way from the mountains about 6 hours away from our hospital. The thin 63-year-old lady, whom we will call “Wislande” (not her real name), came with her daughter, and was holding a small handkerchief in one hand and a Bible in the other. She had a slightly tattered blue dress, a head scarf , and dusty black, ill-fitting shoes. “I am the one who Madam Gail sent,” she said in Kreyòl. As I was busy doing about a thousand things, I rushed by and asked her to wait, to which she patiently obliged, and sat on a cement step. 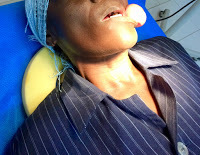 After about half an hour, I returned to her on the step outside the clinic and said “Ok, let’s take a look at what you have.” She opened her mouth and revealed a mass covering her left jaw, a little smaller than a tennis ball. She stated that she was having problems eating and was losing weight. I again asked her to wait as I wanted to get her inside to do a better exam, but was fully expecting not to be able to do much to help. Wislande obediently waited and eventually I escorted her and her daughter into an exam area and discovered that maybe, just maybe, this could be something that could be removed somewhat uneventfully. I explained the risks, and asked if she would like for me to attempt to remove this mass. She kindly said that she was fine with that, probably because there were not really other choices. So, I recruited my faithful assistant, Kathy, who squeamishly agreed to help, and we set up an OR. The entire time we set up the room, Wislande was praying for us and for healing, and would occasionally break into a soft song. Finally we were set up, we all prayed together, and then began the surgery. Thankfully all went well and after about an hour or so, we were finished. At that point, we assisted her to sit up and with no prompting, she began to “pay us” for our help. She gave both Kathy and I hugs. Not the kind of hugs guys give to each other with a slight pat on the back, but the kind of hugs that let you know that you are having your very soul embraced. She then began praising the Lord for His goodness and asked for blessings for us. As if this was not enough, she reached in her pocket and gave us all that she had: 150 gde (about $2.30 US). I told her to keep it but she insisted. “Please! Please!” she said. So reluctantly, we took the money (which we gave to the hospital), and she and her daughter walked away, to catch a tap-tap back to the mountains, some 6 hours away. 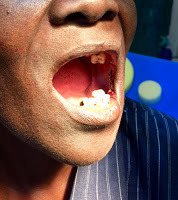 Over the years of practicing in the US and working in Haiti, some days just stand out and some patients just stand out. This was one of them. I have never been paid so much for any procedure as I was that day. I left the hospital richer after seeing Wislande because I had been paid with a touch of Christ. That day I saw Him in the form of a small, blue-dressed lady from the mountains who was a giant in spirit, who paid me far more than any procedure is worth.